There is little doubt that innovations in medical research can benefit society. But the desire to find new ways to treat illness must be balanced with public safety. Unfortunately, the rush to get a product on the market as soon as possible sometimes comes at the expense of safety. A defective drug lawsuit not only can claim financial compensation for your family’s medical expenses, lost wages and pain and suffering, but also can contribute to getting defective drugs recalled or removed from the American market. Thus, potential future victims may be spared with help from your defective drug lawsuit. Many pharmaceutical companies are content to keep selling defective drugs and defective medical devices even though they’re known to harbor dangers. The reason why is simple, because it means they can continue to reap billions of dollars in profits. We are currently tracking some of the most dangerous drugs on the market and work hard to keep this list updated on a regular basis. 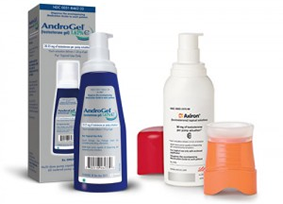 Although Actos remains on the market in the United States, current data notes that as many as 3,000 patients have filed an Actos lawsuit against drug maker Takeda Pharmaceuticals alleging they developed bladder cancer. 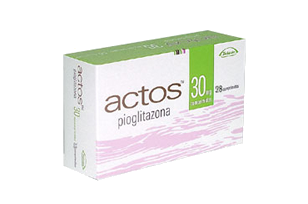 Because of an increased risk of health issues involving the heart and cardiovascular system, the FDA now requires the manufacturer of ACTOS (Takeda Pharmaceutical Company) and other manufacturers of pioglitazone products to issue a black box" warning about increased health risk. Yaz contains the hormone drospirenone, known to raise potassium levels in many women. Numerous studies have shown a direct link between raised potassium levels in the body and heart attacks as well as other heart related medical complications including, blood clots, strokes, deep vein thrombosis and heart arrhythmia. 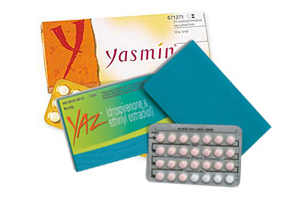 In responses Food and Drug Administration issued a warning in 2008 to YAZ manufactures to place proper warning in their commercials for YAZ addressing the increased potential of health risks associated with the birth control medication including increased levels of potassium which can result in heart attacks. In 2010, medical researchers halted a large study of testosterone in senior men because patients taking the hormone were five times more likely to suffer a serious heart event, including heart attacks and stroke, than those taking placebos. A 2013 study published in the Journal of the American Medical Association involved men with low testosterone levels who underwent coronary angiography in the VA system between 2005 and 2011. Testosterone therapy was associated with an increased risk of adverse outcomes compared with those who did not get testosterone therapy. A 2014 NIH-funded study found that the risk of heart attacks after using testosterone drugs was twice as high in men 65 and older and almost three times as high in men younger than 65 with a history of heart disease.  GranuFlo is a powder concentrate used during dialysis to help patients with kidney failure remove toxins from the blood. The FDA issued a Class I recall of GranuFlo and a companion FMC dialysis product called NatruLyte. In its announcement, the FDA reminded the public that “Class I recalls are the most serious type of recall and involve situations in which there is a reasonable probability that use of these products will cause serious adverse health consequences or death.